Based on the skills of our adroit professionals and creative workers, we bring forth an extensive range of Indian Standard Steel Rail. Owing to features like durability and easy installation, the offered range is extensively demanded in various industries. A team of vendor’s skilled professionals, with a wide experience manufacture the offered products using high grade raw material and modish technology. The offered products are available with us in various sizes, shapes, designs and other related specifications. 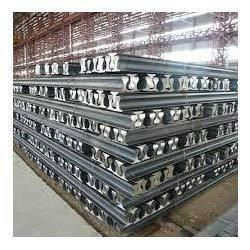 Looking for Indian Standard Steel Rail ?